West Coast Generators bids Brandon and his family farewell. West Coast Generators has had the pleasure of having Brandon Gober on it’s team since 2005. I have watched Brandon develop his skilled trade over the years and he can tackle anything that is thrown in his way! I am proud to call him my nephew and have had the pleasure of watching him get married and have 2 sons. 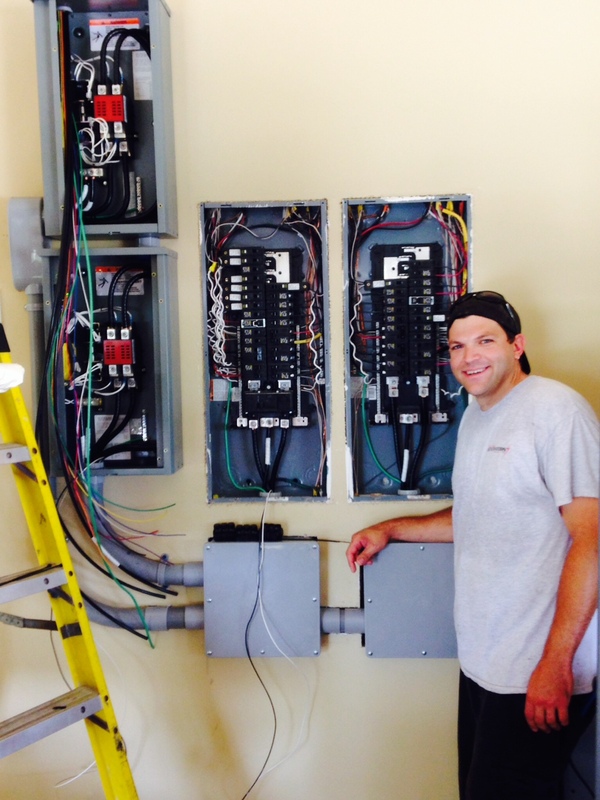 Brandon is an excellent Journeyman electrician and well skilled in audio/video, security systems, data networks, fire alarm systems, CCTV and standby generators. From small remodels to multi-million dollar custom homes, residential or commercial, Brandon can complete the job. We are sure going to miss him and he’s going to be tough to replace but I wish him and his family the all the best as he moves back to his home town of Chicago! Thanks Brandon for all of your hard work and dedication! Check out Brandon’s work. This was a very complicated install but Brandon made it look easy and it looks great! Nice job! You will always be welcome to come back to West Coast Generators!